Isaac Wayne MacVeagh served as U.S. attorney general from March to October 1881. His appointment was short because of the assassination of President james garfield early in the president's term of office. MacVeagh resigned soon after Garfield's death so that President chester a. arthur could select his own attorney general. MacVeagh was born on April 19, 1833, in Phoenixville, Pennsylvania. He attended school in Pottstown, Pennsylvania, before entering Yale College, where he graduated in 1853. He studied law in West Chester, Pennsylvania, and was admitted to the bar in 1856. In 1859 he became district attorney of Chester County, Pennsylvania. During the Civil War, MacVeagh served as an infantry captain and as a major in the cavalry. He was forced to resign from the military because of ill health. He resumed his position as district attorney, but he also became active in Republican Party politics. He was appointed U.S. minister to Turkey in 1870. The following year he returned to Pennsylvania and waged a failed campaign to win a U.S. Senate seat. In 1877 President rutherford b. hayes selected MacVeagh to direct an organization, subsequently known as the MacVeagh Commission, to arbitrate political differences in Louisiana. The actions of the commission hastened the removal of federal troops from the area and ended the last vestiges of Reconstruction in the South. President James Garfield appointed him attorney general on March 5, 1881, but MacVeagh had little time to perform his duties. Garfield was shot on July 2, 1881, after only four months in office, at the railroad station in Washington, D.C., by Charles J. Guiteau, a disappointed office seeker. For eighty days the president lay ill and performed only one official act—the signing of an Extradition paper. On September 19, 1881, Garfield died. 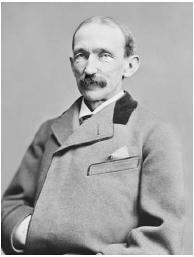 MacVeagh submitted his resignation on October 24, 1881. In 1882 MacVeagh decided to join the Democratic Party. In 1893 President grover cleveland, a Democrat, appointed MacVeagh minister to Italy, a post he held until 1897. Toward the end of his career, MacVeagh served as chief counsel for the United States at the Hague Tribunal during a dispute involving Venezuela's repayment of loans to several countries. MacVeigh died on January 11, 1917, in Washington, D.C.